A teacher leads her students to the front of the school following the first day of school at Kathy Binks Elementary School in Fontana. The Fontana school district opened the year with more than 30 teacher openings. Over the past five years, California has invested more than 13 billion in new dollars to support opportunity and excellence in our K-12 public schools. As importantly, we’ve grounded our school funding in a commitment to equity—driving more funds to supporting students with greatest need—and in the belief that local districts, in partnership with stakeholders, are best equipped to determine how to meet the needs of their students. As we enter the last few weeks of the state budgeting process, legislators and the governor have the opportunity to maximize these important investments by supporting the human capital that is critical to student and school success: our teachers. California is in the midst of a serious and growing teacher shortage that threatens to undermine our investments and our commitment to advancing opportunities and achievement, especially for low-income students, English learners and foster youth. In 2015-16, 75 percent of districts in a Learning Policy Institute/California School Boards Association survey reported teacher shortages. As districts struggled to find enough qualified teachers to staff their classrooms, California issued more than 10,000 substandard teaching credentials and permits to individuals who had not met subject matter and teacher readiness standards to fill the gap between supply and demand. Think about this for a moment. At a time when we are investing billions to advance deeper learning and design schools that support the whole child, we are putting less prepared teachers in classrooms and still expecting to achieve these goals. As a business person with more than 20 years experience in senior management and as a longtime champion for California public schools, I am concerned about the shortsightedness of this approach. Leaders of the most successful companies and organizations know they are only as good as their people. They endeavor to build good pipelines, recruit high-caliber individuals and then provide the support and development needed to ensure these employees stay and continue to improve. That’s why each year, companies and organizations strive to be listed on Fortune Magazine’s Best Companies to work for. Google has won this honor the past several years by consistently investing in a myriad of ways to attract and retain talent to drive its success into the future. Given the serious, growing teacher shortage in the state, we, too, need to embrace this mentality. We need to consider an approach that treats quality teaching as a workforce imperative, worthy of significant investments in the state budget. As companies and organizations know, drawing talent to their organization doesn’t happen by accident. It occurs when serious and strategic investments are made to build their talent pipeline. Last year, California made what many considered a “down payment” on addressing shortages with strategic investments to deal with short-term need and begin to advance long-term solutions. The state invested $35 million, which included $20 million to train “classified” employees in districts to become teachers, $10 million to allow students to get a teaching credential while earning their bachelor’s degree, and $5 million to reestablish the California Center on Teaching Careers to actively recruit teachers. These were important first steps. Now, we need to deepen this commitment with additional resources in evidence-based programs. The Assembly’s budget package, passed on May 25, attempts to do just that. It allocates $85 million in state dollars to programs that would build high quality and high-retention teacher preparation pathways and professional development opportunities. This would provide the financial support necessary to enable a diverse cadre of committed and prepared educators to enter the profession. As the Senate and Assembly work to craft a Conference Committee budget to present to Gov. Brown, this is the comprehensive approach needed to ensure that every California student is taught by a fully prepared and supported teacher. 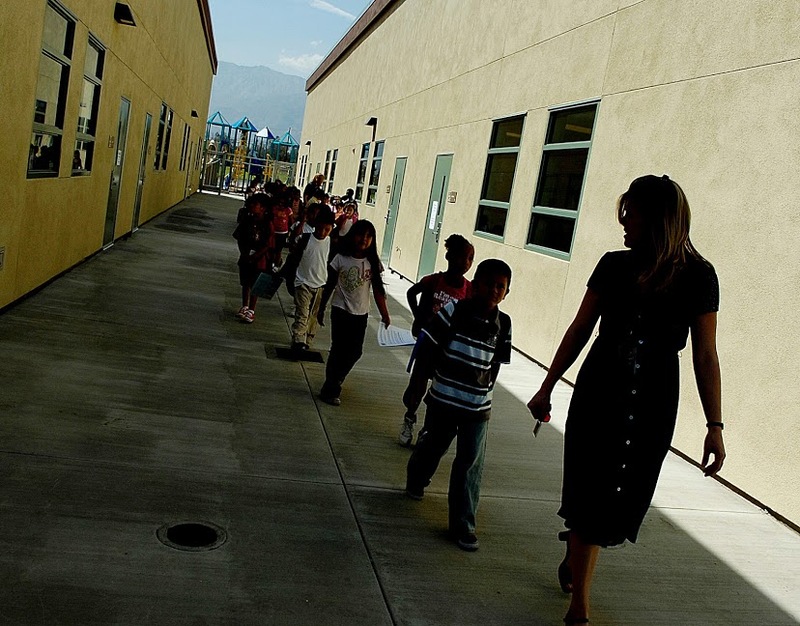 In the early 2000’s, when California last experienced severe shortages (due to the introduction of class-size reduction), we had more than 40,000 teachers on emergency permits. Student achievement plummeted during this time, making California one of the lowest achieving states in the nation. It took a comprehensive strategy from state policymakers to address the crisis and begin to attract, prepare and develop excellent teachers. Unfortunately, those investments have since been discontinued, and we find ourselves facing a familiar, if not yet as significant, challenge. We’ve been down this road before. Fortunately for state policymakers, the Assembly budget provides a roadmap that will stem the tide of underprepared teachers in California classrooms. Let’s learn from our history and from successful organizations. Let’s invest in building the strong and stable teacher workforce our state needs and our students deserve. 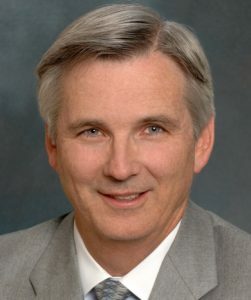 David Rattray is Executive Vice President of the Los Angeles Area Chamber of Commerce’s Center for Education Excellence & Talent Development and was a member of California’s Educator Excellence Task Force and co-chair of the state’s Blueprint 2.0 planning team. David, we need to address the lack of CTE teachers – real, old-school industrial arts type teachers, and programs that gave us the skilled workers over the last 50 years. We need old school skills classes to come back. How to keep kids in school; give ’em something to look forward to so they can make a good buck. Nicely written article that forgets that unfortunately more effort is spent in California politics, law and budgets on disciplining teachers and adding a year or two more for tenure than investing in the profession and enriching teachers’ capabilities. Cyclical layoffs of new, young student-debt ridden teachers are not good in the long term when endeavoring to entice new entrants to the teaching profession. What specifically is being done to stabilize California education funding so that the new teachers enticed into the profession do not share the same fate as the 30,000 laid off in the last one?